This Security Officer job description template includes the list of most important Security Officer's duties and responsibilities. It is customizable and ready to post to job boards. Use it to save time, attract qualified candidates and hire best employees. 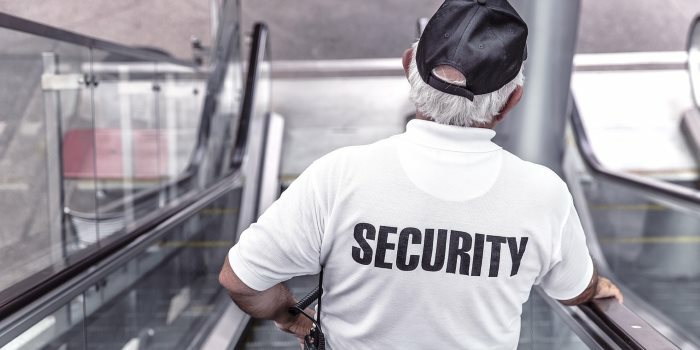 Security Officers are responsible for securing premises and personnel by patrolling property, monitoring surveillance equipment, inspecting buildings, equipment, and access points as well as permitting or prohibiting entry. In order to attract Security Officer that best matches your needs, it is very important to write a clear and precise Security Officer job description. We are looking for an experienced and passionate Security Officer to join our team. As a Security Officer, you will undertake the surveillance of our premises and protection of our staff and visitors. In addition, you will be responsible for detecting any suspicious happenings and preventing vandalism, thefts or any other criminal behavior. Use this Security Officer job description and post it to multiple job boards!